Baseball's Top 100 is the ultimate collection of achievements on the diamond. From the most grand slams in a career to the most consecutive stolen bases - the best of the best is all here. 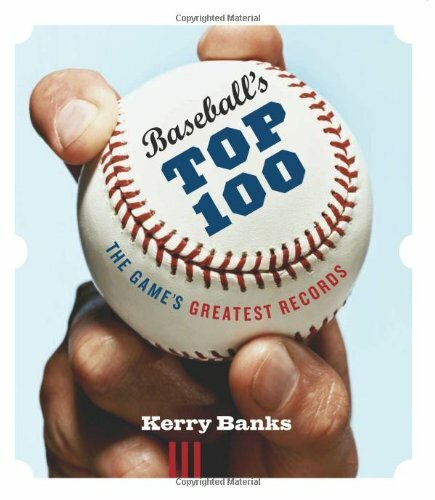 Sports writer and trivia master Kerry Banks has scoured all the record books and selected the top 100 of Major League Baseball's most fantastic feats. 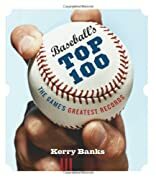 Many significant records belong to the most familiar names in baseball - home-run king Barry Bonds, slugging champ Babe Ruth, hit machine Joe DiMaggio - but Banks highlights previously overlooked record holders as well. Did you know that the player who hit the most doubles in one season is an obscure citizen of "Red Sox Nation" named Earl Webb who started his career as a pitcher? And, bet you haven't heard of Harvey Haddix. He holds the record for most consecutive batters retired by a pitcher in one game - and he did it all while suffering from a head cold! This is a must-have for fans of the "Grand Old Game."